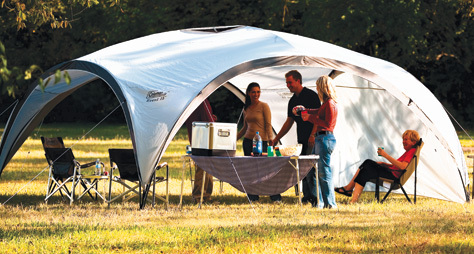 Coleman® shelters are ideal for comfort or privacy in a range of outdoor situations, from events to picnics, in a garden, at a festival or on a beach. They’re easy to put up and convenient to use. Certified laboratory testing proves Coleman® UVGuard™ protection fabrics with an SPF50 provide excellent protection against the sun’s ultraviolet rays. 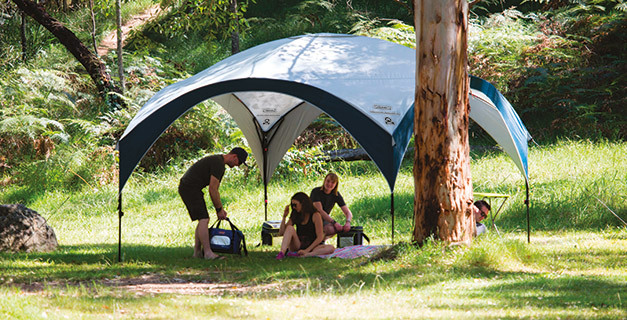 Proper use of sunscreen combined with shelters made with UVGuard™ protection fabric can go a long way in the battle against sunburn and UV exposure.